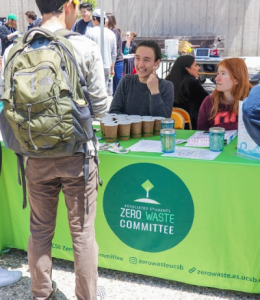 UCSB’s Zero Waste Committee is always looking for enthusiastic new members and collaborators! We currently have a great list of projects that we are very excited about, so if you are interested in getting involved and reducing waste on our campus come by and check out one of our quarterly meetings! Any organization or individual that wants to collaborate on an initiative, project, or event or if you just have general questions feel free to email or message us on Facebook. Like our Facebook page and follow us on Instagram @zerowasteucsb for more updates and information!